Dry Tortugas snorkeling is a unique experience for several reasons. First, you're isolated from the remainder of the islands including Key West FL by about 70 miles. 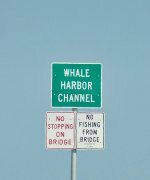 This means getting to the Dry Tortugas National Park can only be accomplished by ferry, seaplane or private boat. Due to the distance, a Dry Tortugas trip means you can only spend a few hours snorkeling the warm clear water. 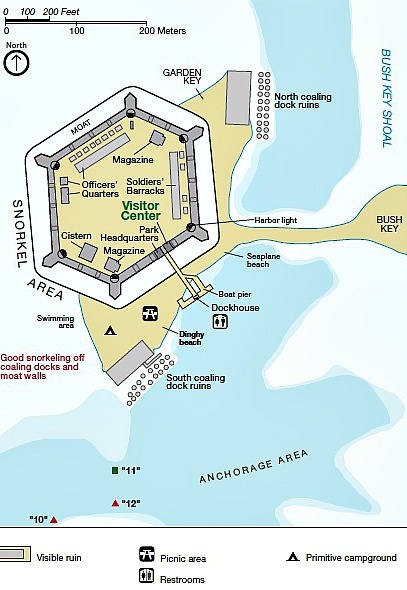 Or, if you have the ability, you can stay on board a ship, or plan on Dry Tortugas camping at the primitive campground on Garden Key. If you're planning on camping Dry Tortugas you'll need to bring essentials as amenities are non existent. You can browse through these camping items available through Amazon, or use the search bar below the selections to look for other items you need or want. This isolation is a contributing factor to the second reason why this is a unique snorkeling adventure. Being isolated, the area is more pristine. There's less traffic, more marine life and the coral is large and spectacular. Plus the stronger current ensures the water is ultra clear so visibility is excellent. Closer in to the moat wall, you'll find the fish are more juvenile, but further out, at some of the other snorkel and dive sites, the fish species are large, varied and abundant. The best time of year for snorkeling Dry Tortugas is May - September, which also coincides with the non-peak tourist season. This means you'll have more time to enjoy the different reefs and wrecks without the downside of extra human traffic. However, whenever you're diving or snorkeling Dry Tortugas, especially further out from Garden Key, there are certain hazards to be aware of. The current can be moderate to strong so it's important to monitor your whereabouts in relation to your boat. The Dry Tortugas also has a considerable amount of fire coral in the area. When Dry Tortugas snorkeling, be careful not to brush up against this coral like substance. It can cause painful, stinging, burning sensations, and if you're allergic to it, may result in nasty wounds. Sharks and barracuda also frequent the area, and can be a dangerous menace. In fact, visitors to the Fort Jefferson area are advised to watch that they don't plunge any body parts into the water around the moat. Large barracuda frequent this area, due to the fact that commercial fishermen clean and throw fish pieces into the water. The barracuda have quickly come to associate the sound of something hitting the water with food. Unfortunately, if it happens to be your foot, hand, arm or leg that quickly enters the water, you may sustain serious injury from their razor sharp teeth. When playing in the great outdoors, whether camping at Dry Tortugas, snorkeling or scuba diving Florida Keys, it's worthwhile to be prepared for any mishap. Bringing a first aid kit with you can make all the difference in preventing a small accident from turning into something much worse. Plus if something really serious happens, having first aid tools with you can mean the difference between life and death as you're able to apply necessary aid until medical treatment arrives. The National Park can be broken down into different Dry Tortugas snorkeling regions. Close in snorkeling around Garden Key and Loggerhead Key is allowed. You can also plan on snorkeling Dry Tortugas further out over the different reefs and wrecks scattered through the Dry Tortugas National Park. Florida Keys snorkeling outside the National Park in the Dry Tortugas Ecological Reserve is not an option as the water deepens to 100 feet and more. Plus the strength of the current substantially increases, and the incident rate of encountering large predatory sharks accelerates. You'll also want to check out snorkeling gear, whether it's for snorkeling Dry Tortugas, or other regions of the Florida Keys. Below you'll find a variety of snorkeling gear you may be needing, and you can also search for other items you need to replace or to round out your snorkeling gear. At the outer edge of the swim area at Garden Key your Dry Tortugas snorkeling adventures will bring you to one of the largest, tallest and best preserved coral heads in the area. Interspersed among the different species of hard stony coral and delicate wispy gorgonian coral, you'll encounter a lively display of colorful tropical fish, and juvenile game fish. This is a great way to spend a few hours discovering the local marine life if you're a novice, traveling with children, or have limited time. Plus, family members who are unable to snorkel or don't want to snorkel, can watch and enjoy the view while strolling along the moat wall. It's important to note that the water inside the moat is off limits to the public. Access to this popular Dry Tortugas snorkeling site is from the beach found to the west of Fort Jefferson. Snorkeling along the moat wall, you'll encounter a variety of tropical fish, smaller juvenile game fish, squid, nurse shark, various species of coral, mollusks, barracuda and old artifacts. Garden Key is the only island with unlimited public access, which means snorkeling is possible 365 days a year, 24 hours a day and this opens up a whole new snorkeling opportunity on your Dry Tortugas trip. The combination of the moat wall, and the ability to snorkel at night is an unusual treat you'll want to experience if you're planning on staying overnight. Night diving and snorkeling is a totally different experience that's almost like being in a cocoon. At night, various species of marine life such as octopus and coral come awake, while others go to sleep. This means your night snorkeling trip will open up a different underwater universe for you to discover. Plan on exploring the area in the day time first. Not only will this allow you to familiarize yourself with the area, you'll have a chance to develop that comparative perspective for your night snorkeling or diving trip. Second, bring a bright diving light with you so you can see what's around and beneath you. However, remember to avoid startling or blinding the fish you find, by not shining the light directly at them. Built in the latter part of the 1800s by the US Navy to refuel ships, and later destroyed by a hurricane, these pilings act as an artificial reef for coral and mullosks to grow on. They also provide shelter for smaller juvenile fish, which in turn attracts the larger game fish such as tarpon, shark, barracuda and grouper. Texas Rock is north of Garden Key and the GPS coordinates for this large mounding coral reef are N24 40.814 W82 53.120. 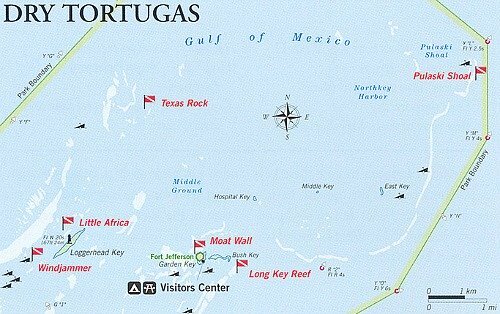 Texas Rock is also one of the deeper Dry Tortugas diving and snorkeling sites within the National Park boundary. Texas Rock sits at 55 feet depth and has a circumference so large that it requires a full dive to navigate around it's girth. However, the crystal clear water make this deeper dive site also suitable for more experienced snorkelers. This large coral mound consists of numerous species of gorgonian and stony coral and towers up from the sandy ocean floor. 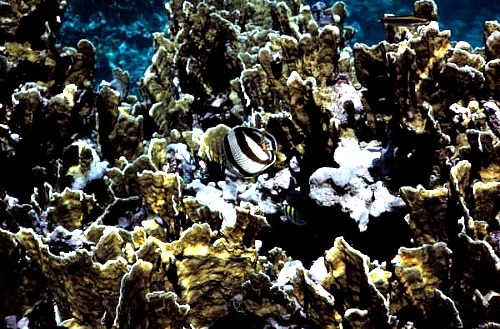 Between the top of the coral and the water's surface are numerous schools of different species of saltwater fish congregating and feeding in the area. Loggerhead Key allows public access 365 days of the year, but unlike Garden Key it's restricted to day to dusk activities only. Here on the northwest side of Loggerhead Key is a popular, protected Florida Keys snorkeling site that is suitable for novices and children under supervision. At this snorkeling site you'll find even larger coral heads comprised of various species of stony and gorgonian coral. Living in and around the patch reef are different species of colorful, tropical fish, a variety of juvenile game fish and spiny lobster. Limited to day use only, the Windjammer Wreck is a popular snorkeling Dry Tortugas site located just to the south and west of Little Africa Reef. The GPS coordinates for the Windjammer wreck are N24 37.461 W82 56.564. Resting in 20 feet of water, the Windjammer or Avanti is considered to be one of the more popular Dry Tortugas snorkeling and novice dive sites. This is due to it's display of colorful coral, tropical fish and assorted marine life. Long Key is one of the Dry Tortugas islands that is closed to the public. Anyone in the vicinity must remain a minimum of 100 feet from shore at all times. 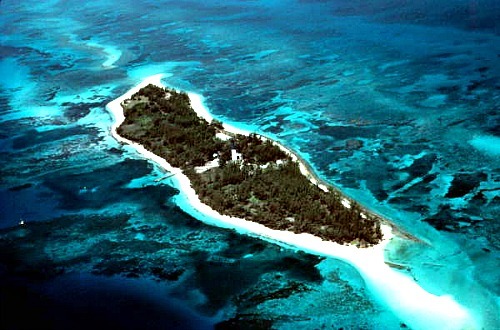 Long Key reef lies in water with poorer visibiltiy with a depth ranging from about 35 feet to 65 feet. This variation makes this suitable for closer in Dry Tortugas diving trips. Even though the visibility is not as clear as elsewhere, this reef is worth the visit due to it's larger star, plate and brain coral formations. Easily found due to the navigational light tower marking this shoal, this shallow coral reef was the cause of many shipping accidents. You may discover various artifacts from these shipwrecks while snorkeling or Dry Tortugas diving at Pulaski Shoals, but they are protected and they must remain undisturbed. The water surrounding Pulaski Shoals can get quite deep, the current can be very strong, and various shark species inhabit the area. If you're planning a Dry Tortugas snorkeling trip out to Pulaski Shoals you need to have the necessary experience and plan to stay in the immediate vicinity of the shallow shoals. It's also important to remember that no matter where your Florida Keys snorkeling adventures take you, you must be mindful of your surroundings. Look, don't touch. Enjoy, don't annoy. The coral you encounter are living endangered organisms. Touching them can damage or kill them, and it can also injure you as coral is very sharp. The coral also harbors a variety of marine life, some, like jellyfish, or eels which are capable of stinging, biting and injuring you. Not only is important that you leave the marine life you encounter in the condition you found it, it's important that you leave the above water environment in good condition too. If you're not returning to Key West FL and are planning on camping Dry Tortugas at Garden Key, you'll be packing in everything you need. Remember what you bring in, must get packed out.